I grew up in the small town of Narragansett, Rhode Island, a quintessential coastal New England with its postcard-quality seawall tracing the coast, tourists flooding the beaches in the summertime, and old friends reuniting at the grocery store I have traveled to many places since my upbringing, but my hometown formed the foundation to my identity. Living in Narragansett instilled in me a passion for the ocean, for I spent my summers playing in the shallow waters of the local beaches. This passion grew deeper when I developed an excitement for learning and interest in scientific inquiry from field trips to the coast with enthusiastic teachers. I became fascinated with the natural world -- it was a mystery I wanted to understand. This was the driving force behind my decision to study biological sciences during my undergraduate career. While at Connecticut College, ​I participated in several research internships, presented a poster on marine invasive species genetics a national conference in comparative biology, enrolled in a Tropical Biology course that took me to Belize, learned to SCUBA dive, studied abroad in Bonaire, Dutch Caribbean, at the Council on International Education Exchange (CIEE) Research Station , and became a leader in various environmental initiatives in my campus community. 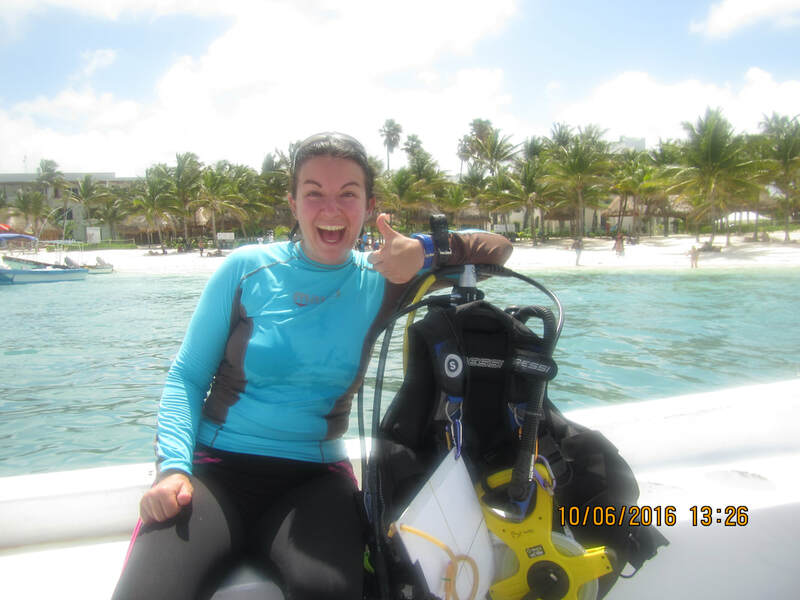 Upon graduating from Connecticut College, I moved to the Florida Keys to begin an internship with the Reef Environmental Education Foundation (REEF). REEF is a marine conservation non-profit that encourages divers and snorkelers to become citizen scientists by recording fish abundances in a public-access database to be used for science and management. With REEF, I taught Caribbean fish identification to the public, coordinated and led invasive lionfish research, and collaborated with dive operators throughout southern Florida. This experience showed me firsthand that conservation efforts are most effective through collaborations between multiple interest groups. After working with REEF, I became the Marine Science Teaching Assistant and Lab Manager for the Williams-Mystic Maritime Studies Program in Mystic, CT. There, I maintained an 8,000-square foot teaching laboratory complete with aquarium system, and mentored undergraduates on their independent research projects in marine science. The interdisciplinary program is a collaboration between Williams College and Mystic Seaport, providing both an historic and academic perspective to studying the oceans. In August 2015, I moved to Chapel Hill, North Carolina, to pursue a PhD in Ecology at UNC-Chapel Hill, with Dr. John Bruno. My research interests focus on ecosystem-based fisheries management, coral reef ecology, and interdisciplinary marine conservation efforts. I hope to combine my passion for the oceans with skills in quantitative ecology, social science survey methods, and public outreach initiatives to inspire increased ocean stewardship among local communities in tropical regions. During an NSF Research Experience for Undergraduates (REU) at the San Francisco State University, I conducted a study examining invasive copepod population genetics. While at REEF, I assisted with Lionfish Derby's - single-day competitions to catch the most invasive lionfish. 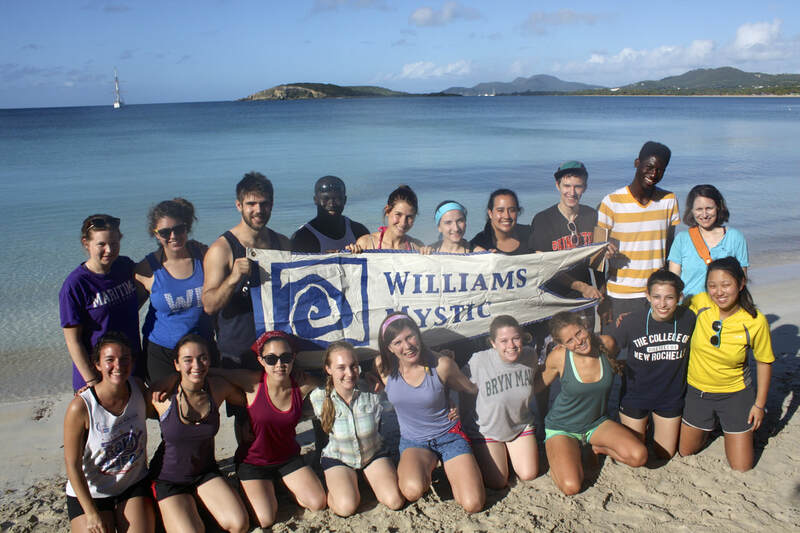 One of the field seminars of the Williams-Mystic program is a 10-day offshore sailing trip. Here, I pose with students on Vieques, Puerto Rico, prior to spending an afternoon snorkeling. I am thrilled to be conducting interdisciplinary marine science research in the tropics. Here, I prepare for a research dive in Akumal, Mexico.